Marielle has been in the beauty industry for over 30 years. Starting as a Salon Coordinator while in high school and was hooked! She became a stylist in 1992, and in 2006 purchased Coiffeteria Salon, fulfilling her lifelong dream. Marielle aligned her career with Aveda where she fulfilled various roles as a Hair Color Educator and Regional Director of Sales. She takes great pride in helping her team grow and develop their true potential, both, professionally and personally. Her hope is that everyone leaves Coiffeteria Salon feeling beautiful, loved and with a smile on their face. 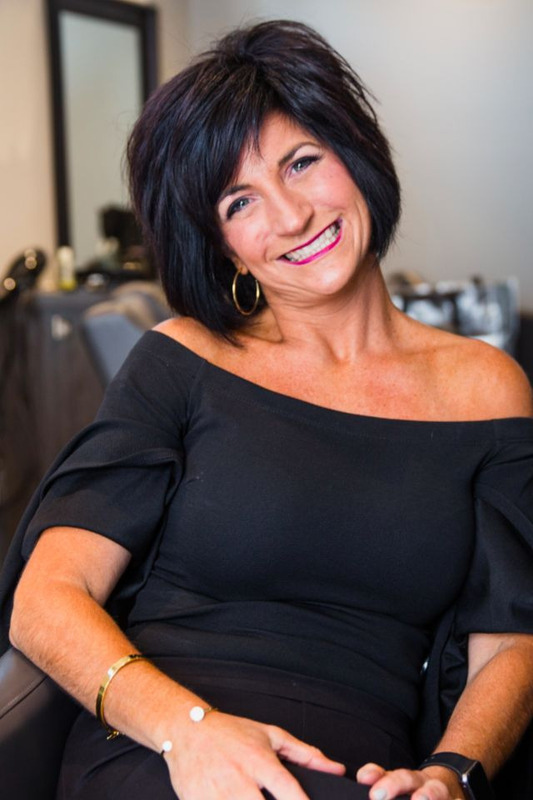 She knows her amazing team and guests make the salon, what it is…FABULOUS! Also, dear to her heart are her husband Jim and her minis Madeline and Deano.